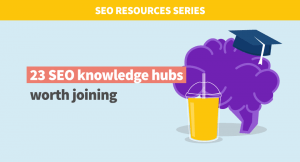 In our SEO Resources series, we always encourage the SEO beginners to get surrounded by as many sources of SEO knowledge as possible. One of the great ways to be regularly exposed to the updates and news from the world of search engine optimization is following the SEO experts on Twitter. There are hundreds of them and we do not claim that this post includes all the best SEO experts in the world. Rather than that, we decided to pick a handful of Twitter profiles that we consider useful for somebody who is new to the SEO. We don’t mention the most popular SEO blogs such as Search Engine Journal, Moz or Backlinko, as they were featured in our previous part of the SEO Resources series. Of course, their Twitter profiles are an excellent source of useful material about SEO. In fact, you can check our article about the top 10 SEO blogs and follow everyone on the list right away. We did not take into consideration the number of followers or other vanity metrics. The only criterium was whether their Twitter profiles are helpful and suitable for the SEO beginners. Former Head of SEO at Moz and founder of Zyppy. As Cyrus states himself – his mission is to make hard SEO easier for millions of people. That is why you should definitely follow him on Twitter. In 2018 and beyond, it is more difficult than ever to get organic backlinks from anything less than unique, STELLAR content. Non-optimized blog content might actually be your best bet at getting those backlinks). Craig is an experienced SEO that has been around for a while and he is happy to share his vast experience and insights with his Twitter audience whenever possible. You may appreciate his beginner-friendly approach to the topics he presents. SEO is 90% about testing and figuring out what works and what doesn’t, so test things yourself. And take everything you hear with a pinch of salt. Don’t believe all the hotshots who spout a lot of talk about earning millions of bucks – listen to those who are down in the nitty gritty of the hard graft. It’s those that can offer you real advice; hands on stuff that means something. Debra is an editor and columnist at Search Engine Land and a recognized expert in the field of link building. A lot of interesting stuff on Twitter. Nathan, the founder of GotchSEO, runs a popular blog loved by many SEO beginners for its simplicity and coverage of proven SEO strategies. Definitely worth a follow. I believe SEO is one of the best ways to grow any business online and I believe learning SEO is one of the best ways to escape the 9-5 and build a career that you love. The owner of the @SEO handle at Twitter, AJ Ghergich measures up to the responsibility that comes with it and tweets a lot of unique SEO content regularly. Follow him on Twitter! Stop interrupting your customers and start interacting with them instead. Focusing on creating powerful content is a winning long-term strategy that many people won’t realize too late. Glen describes himself as an introvert who doesn’t want to be famous, but would rather have his work be known and help a lot of people on the journey. If you don’t want to miss his insights and great blog posts, follow him on Twitter. Build a site for people. Have you noticed how Wikipedia absolutely dominates Google search results? It is a resource that million of people naturally want to use, and because of that, people talk about them. 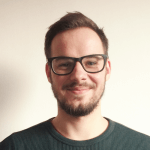 Matthew is an online marketer writing a multi award winning blog full of useful case studies and guides. Lately, he has been focused mainly on s-commerce SEO. If you follow him on Twitter, you’ll be updated on the news on his blog regularly. No matter how much research you do, you will never really know what is going to work until you try it. With a few backlinks and social signals you will be surprised at what sticks! The simple SEO strategy always wins! But don’t forget – links will get you to the first page but engagement with your content will keep you there. Chase is an SEO consultant best known for his educational YouTube channel full of great tutorials and tips focused (not only) on the SEO beginners. When I first started doing SEO, I was only focused on traffic or ranking for keywords. Now, if you’re getting traffic, that’s great but you make a mistake if you do not capture this traffic. Eric is one of the founders of Stone Temple agency. With his colleague Mark Traphagen, they love to publish a lot of educational videos and posts based on the research they conduct. Another experienced digital marketer willing to share his knowledge with the others. He writes his own blog and tweets a lot of useful articles, how-tos and and SEO tips. Follow him to get updated. Don’t get weighed down too much by keyword research, competitor analysis and other tasks. Just dive in and get started. You’ll make mistakes, but just learn as you go. I made the mistake of buying a domain and waiting four months before I published a single post. 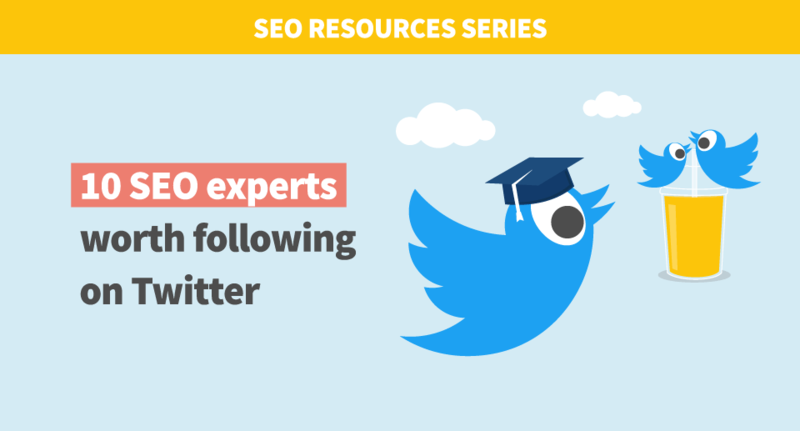 We hope this list helped you to find some interesting SEO experts on Twitter and you’ll benefit from the knowledge they share. Again, the main goal was not to include ALL the best SEO experts so if you feel that some big names are missing, you are probably right. If you’re interested in the opnions of more SEO exprerts, check out our roundup with the SEO tips by more than 30 specialists! If you know an SEO expert that tweets beginner-friendly stuff and you think would deserve to join this list, do not hesitate to let us know in the comments!